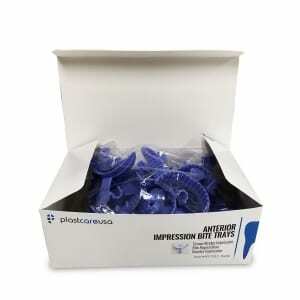 Made from thin material, PlastCare USA’s dental bite registration impression trays offer accurate final impressions. Our trays have a rigid frame and thumb tab that is firm. They also have a durable mesh material to hold impression material to help promote perfect molds every time. Bite trays are filled with an impression material that undergoes a chemical reaction to harden, creating a mold around your teeth. The material contains a base and a catalyst. The material is placed in the bite tray, and the bite tray is inserted into the patient’s mouth and allowed to harden for a few minutes. Once the material is set, the tray can be removed. Bite registration refers to the relationship between the upper and lower teeth. Bite registration captures the position of upper and lower teeth when they bite down to see how they hit and fit together. When using a bite tray, patients should bite in their normal jaw position to ensure that crowns and bridges fit correctly within their normal bite registration. When you are getting a crown or bridge at the dentist, it is common to have an impression taken. 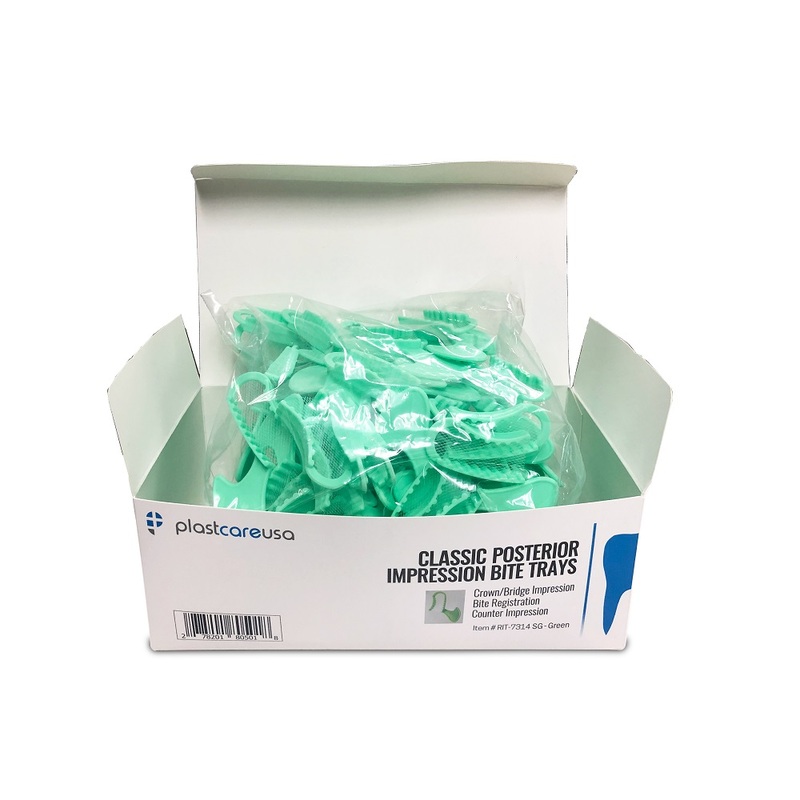 During this process, the dental hygienist applies impression material onto a bite tray and the tray is inserted into your mouth. The material sets, leaving a perfect mold of your teeth and your bite. Our bite trays have a rigid plastic frame with an easy-to-hold thumb tab. It also has an occlusal mesh to hold the impression material. This mesh is durable while still being somewhat flexible. Bite trays are important for getting an accurate mold of patients’ teeth and bites. 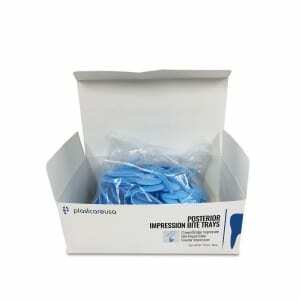 To use a bite tray, mix impression material that contains a base and a catalyst. The two will form a chemical reaction to harden into a mold. Place the impression material in the bite tray before it hardens. Insert bite tray into the patient’s mouth and allow to harden for a few minutes. Once the material is set, remove the tray. 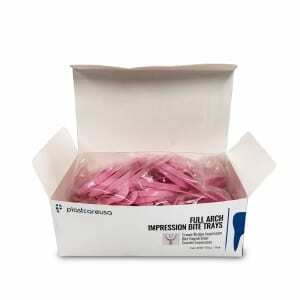 The impression can be sent to the lab to make bridges or crowns or to analyze bite registration. Bite registration refers to the relationship between your upper and lower teeth. It allows the dentist to see how your teeth fit together when you bite down.